At eight-thirty tonight, season three of the tremendously popular reality show, From Yes to I Do, premieres. In this season, five couples are competing to win an unbelievable wedding which will be aired live on this station. The couple will be receiving all the trappings including the wedding gown, the weddings rings, photography, tuxedos…the full works. But before the winning couple can say I Do, they have to overcome a number of challenges. We will be following them as they start their journey to the isle. Here’s a peek of what you can expect. 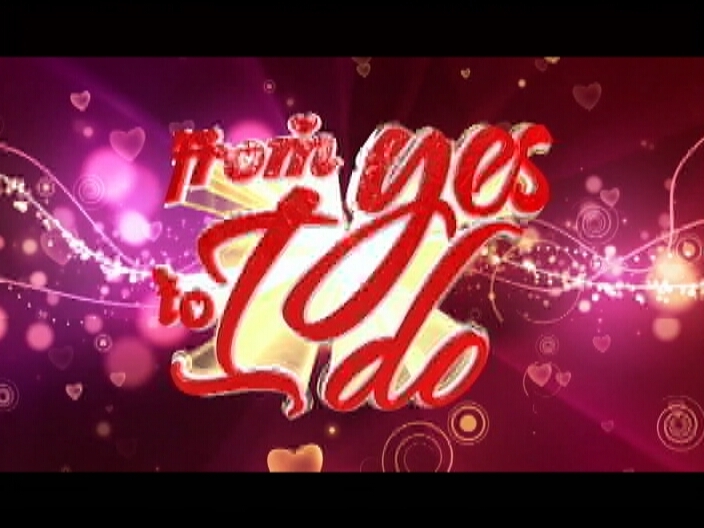 Remember to stay tuned to this station for the premiere of From Yes to I Do.